Uncategories Are You Using The New Social Media Platforms To Aid Your Business? 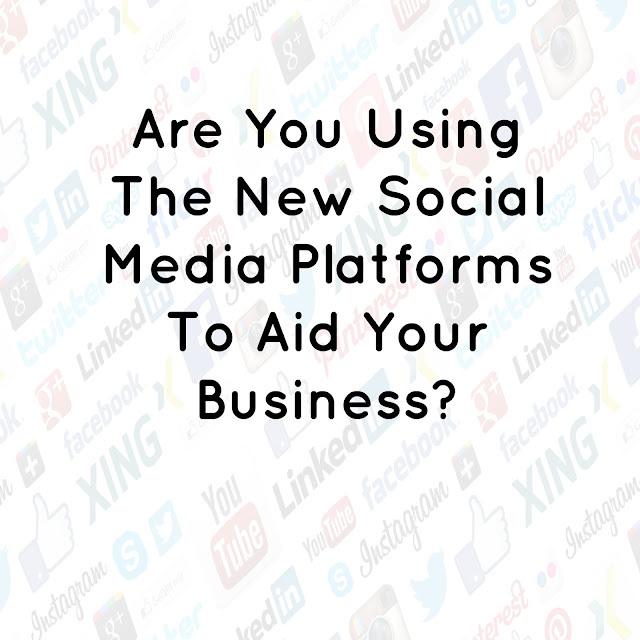 Are You Using The New Social Media Platforms To Aid Your Business? Social media is forever evolving. The Facebooks and the Twitters have an established position in the industry, but the ideas and gimmicks are stale. They have become part of the background noise. That’s led to the rise of new social media platforms. The statistics say that 2.1 billion people have social media accounts. This represents just under a third of the entire population of the world. But this evolving business is evolving yet again. Becoming an early adopter of new social media can pay dividends. Not only is this article going to show you how to do it, but it’s also going to show you which new social media platforms you should keep tabs on. Social media is time-consuming. The majority of people lack the time and the inclination to create an account on every platform. This is not laziness this is efficient. Unless you are a major brand, your resources are better spent elsewhere. Instead, you may choose a few platforms and concentrate on them. When deciding whether to adopt a new social media platform, look into their demographics. Take Pinterest as an example. The statistics say that the majority of users are women likely to be interested in creative pursuits, such as art and cooking recipes. If you are an accountancy firm, Pinterest clearly isn’t a new social media platform for you. Don’t fall into the trap of thinking that signing up for every new fad is going to make you into a social media hit. • Does your target audience frequent this platform? • Is there an actual community? Take a look at whether people are interacting with you or not. • Can you use it to generate both traffic and sales? Early adopters have a jump on the competition because they have claimed their profiles early. They already have a following and they already have a position. They are the innovators. Therefore, you should claim your profile as early as possible. Fill it in and actually work on keeping it active.